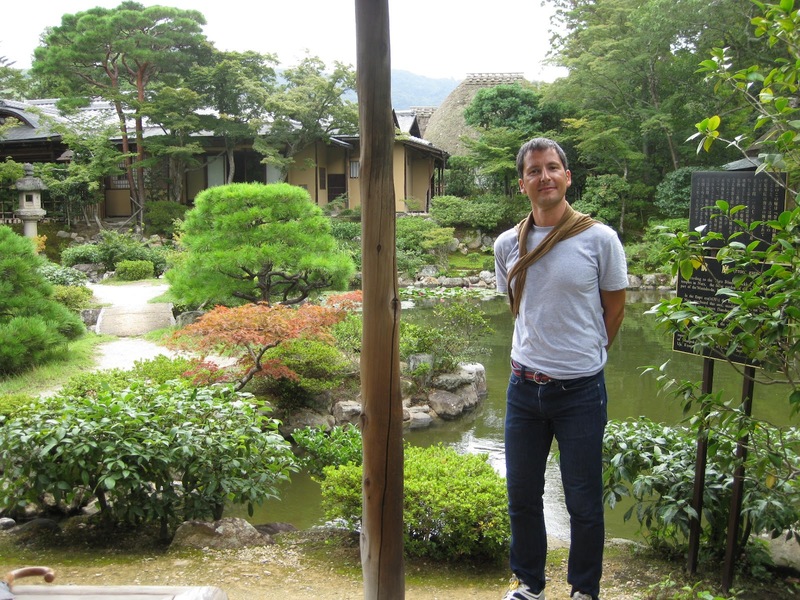 I usually recommend our guests to see some gardens in Kyoto. Our city, Kyoto, has zen gardens consisting of rocks and sand, as well as stroll-style gardens. 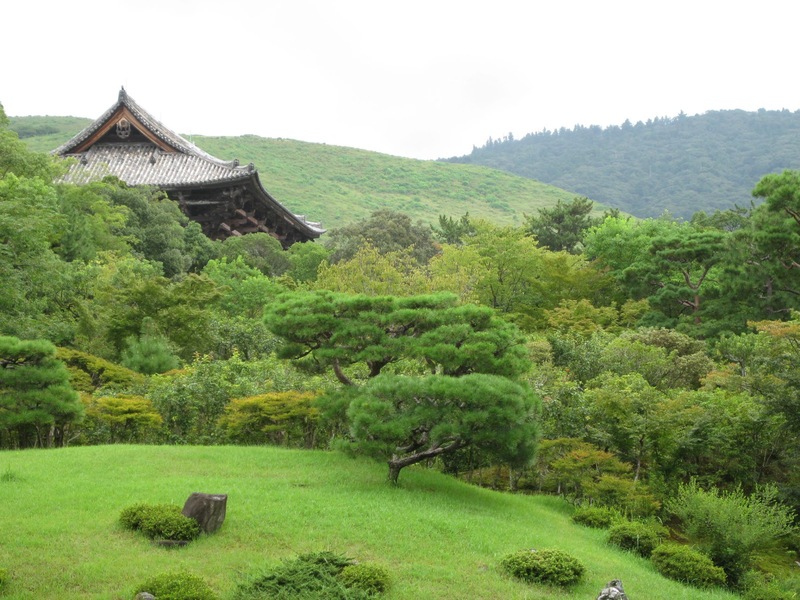 However, when it comes to Nara, I usually think of the magnificent architectures and buddha or Kannon images. When I visited Isuien garden in Nara, I thought I was all abroad. Isuien garden is devided into two parts, the front garden and the rear garden. Originally the front garden was made in 1670 and the other one, in 19th century. The garden which impressed me a lot is the rear garden. Japanese garden is designed taking the backdrop and its affect on the garden into consideration. We usually call this kind of gardens a borrowed garden. Isuien borrows the top of Nandaimon gate of Todaiji temple and Wakakusa mountain hehind of the temple and another mountain behind it.These backdrops harmonize beautifully with the original garden. You will surely be impressed by this borrowed garden we can't see in Kyoto. 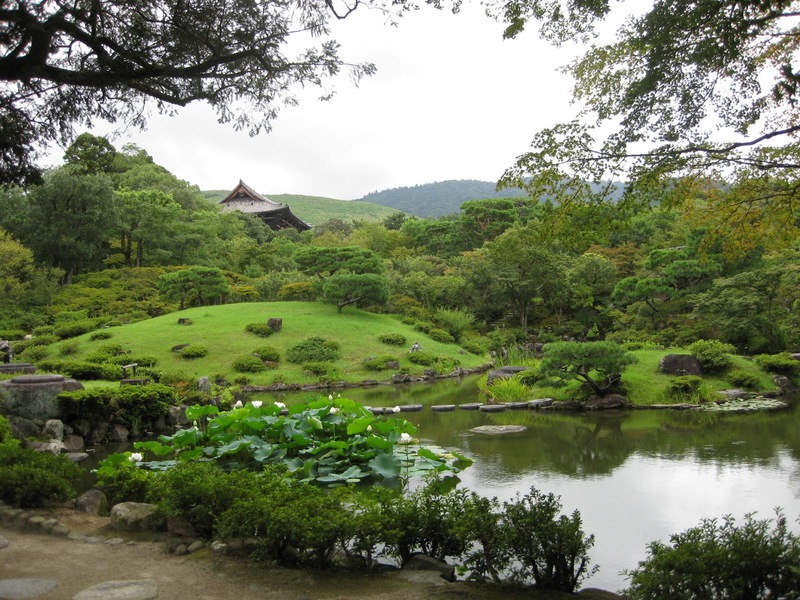 In addition to this beautiful garden, if you want, you can have Japanese tea viewing the garden, as well as having lunch. It's near Todaiji temple. Why don't you visit here if you visit Nara?